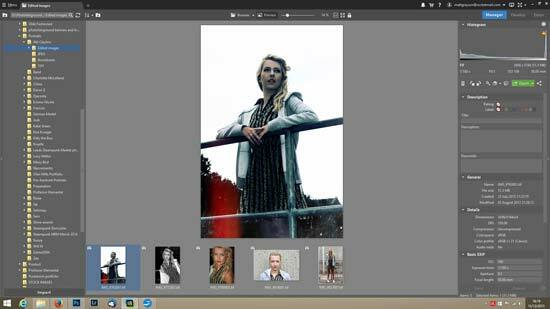 Photo Studio 18 is the newest photographic editing suite from Zoner. Designed for ease of use, as the program reaches it's milestone eighteenth version, we're going to be taking a look at the new features along with it's compatibility ease of use. 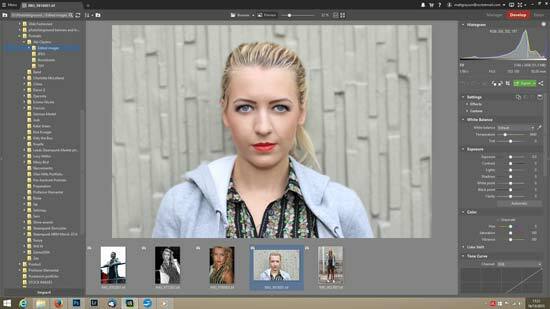 Zoner Photo Studio 18 costs $99 or $49 if you're upgrading from a previous version. There's also a Family Licence extension available for $49. The Windows file is only 66Mb and took us a few seconds to download from the Zoner website and around a minute and a half to install (not including reading the terms and conditions). Before starting, it's worth taking a quick look at the Zoner website as they have some useful additions to download that will make your life a little easier. For example, you can download a full PDF instruction manual for when things get tough (as they sometimes can). 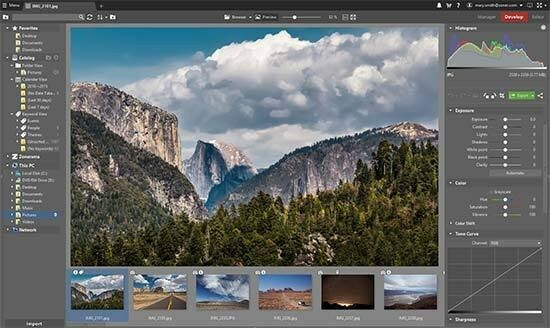 There's also links to useful third party tools that can be integrated into Photo Studio 18, such as the Adobe DNG raw processor which expands the amount of compatible cameras. The reason behind downloading it at a later date boils down to the fact that the majority of users won't use raw files, so it would be redundant data on the original download, and that to use the Adobe converter would mean purchasing a licence which would also push the price up for consumers. 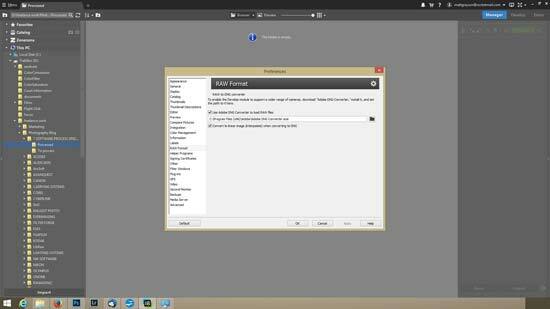 Following the links on the website will give full instructions on how to integrate the converter into your program. There's also WIC Codecs for raw previews, GhostScript for previewing PS and EPS files and for those of you that like to have fun with your pictures, there's a number of photo frames and templates available to download as well. The front page of Zoner Photo Studio 18 has undergone a bit of reconstruction for this version. The main screen has been decluttered to allow more space to view your pictures and a Favourites option has been added to get to your most used features easier. Adding to the usability of the program is an improved catalogue which now supports removable disks and has a predictive word search. 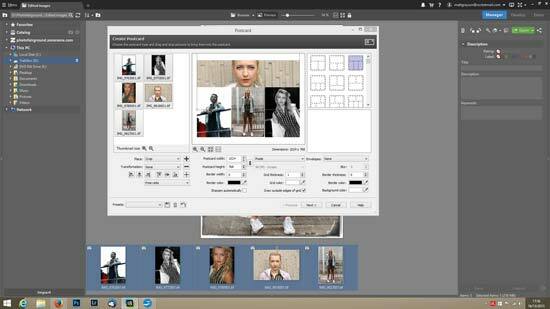 Photo Studio 18 has been split into three sections. Where other programs are getting up to five different sections, Zoner has played it cool and stayed small by reducing the amount of sections available to you. Whether you prefer this is down to personal choice, but it's a bold choice by Zoner – especially as in the photo industry bigger usually equates to better in consumers' eyes. The first section is called Manager and allows you to find the pictures that you want to edit. It's also the place where you add titles to pictures, keywords, ratings and edit the EXIF data. Once complete, you can move over into the Develop section, which still retains the navigation menu on the left but changes the EXIF information to global editing options such as white-balance, exposure and colour. 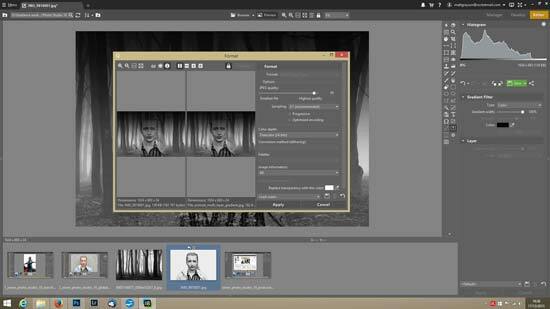 There's also other features such as HDR, noise reduction, sharpening and basic visual effects. A histogram helps with getting the exposure correct. 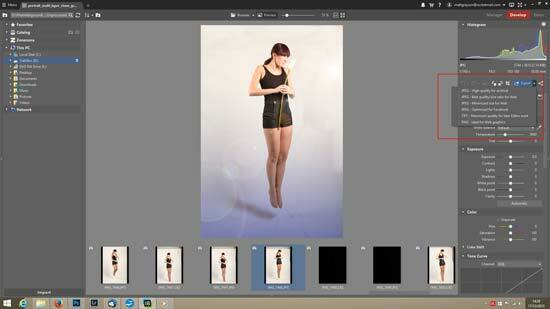 One of the new features of Photo Studio 18 comes into play here. Zoner have introduced a non-destructive editing system in the Develop window whereby none of the editing changes made are actually saved to the photograph. They will be able to be seen on the picture though. 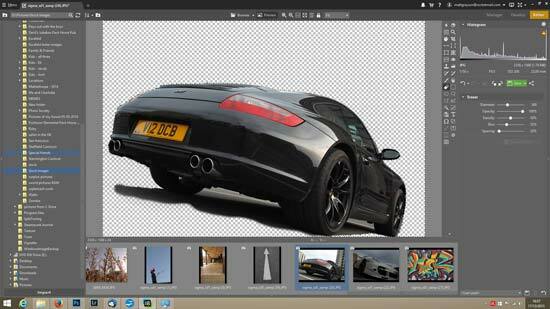 This system is used instead of layers, which is the more traditional way of non-destructive editing. The third module is called Editor and is where you'll perform the finer editing tools such as what is on the main window of other dedicated editing suites. The main portion of your editing will most likely be done here. Interestingly, the tools have been placed to the right of the screen in order to maintain the navigation menu on the left. To digress a moment, the menu normally along the top of a window has been compressed into a small square box in the top left corner. The majority of the available tools in there are on the main window anyway. Exporting images is done at any time via the small green button on the right side of the screen. It changes to a save icon when in Editor. In Manager and Develop you can choose which file extension you would prefer to use such as JPEG (high, best web, minimised for web, minimised for Facebook), TIFF and PNG. We had a play around with the program using various features. We tried overlaying two layers, which isn't difficult. Getting them the same size means going into the Menu tab (while in the Editor module), choosing Edit and then selecting either Resize or Content Aware Resize. Hardened Adobe users thinking of moving across will find some areas tricky. There's no area to view the temporary layer that PS 18 creates. We wanted to overlay a picture of some trees onto a portrait with the image of the trees fading while over the face and making it all arty looking. Overlaying the images and adjusting the opacity wasn't a problem but then we had to apply the changes and the layers merged. We wanted to erase certain areas and couldn't find a way to do it without erasing both layers at once. In order to get the result we wanted, we had to erase the area of the picture we wanted faded in advance and then overlay the image. It's not a perfect system by any means, but the program isn't equipped for that kind of work.